Originally from Alexandria, Louisiana, Brittany obtained a Bachelor of Science in Criminal Justice from Louisiana State University at Alexandria in 2012 and a Juris Doctor from Southern University Law Center in 2016. While attending Southern University Law Center Brittany was very active both on campus and in the Baton Rouge community through her service as a Pro Bono Coordinator. 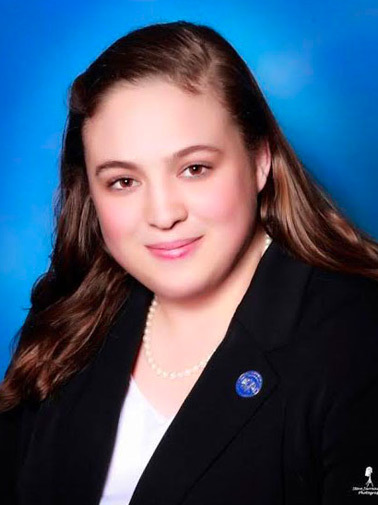 During her matriculation, Brittany received many accolades such as being named National Jurists Law Student of the Year for the United States, being the founding recipient of the Tassin Public Service Advocate Award for her work with the Trial Advocacy Board and the Chancellors Leadership Award. During her time at SULC she also served as a Student Attorney in the Juvenile Clinic providing representation to juveniles and their families with various legal matters. Brittany began volunteering with STAR in 2014 as a hotline advocate providing support to survivors. She then interned with STAR’s Legal Department in 2015-2016. Brittany passed the Louisiana state bar exam in July 2016 and now serves as a staff attorney for STAR.